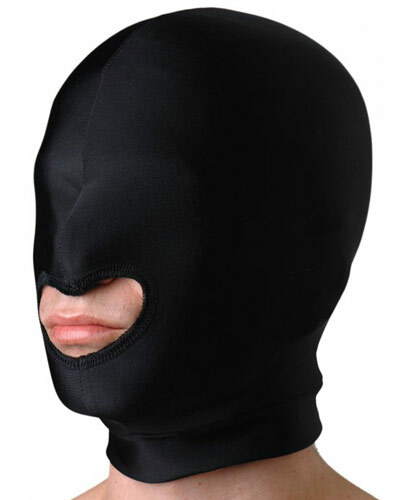 This hood obscures the wearer's vision, leaving them at their partner's mercy. The exposed mouth leaves open all kinds of naughty possibilities. The mask was created using two layers of highly stretchable spandex to ensure comfort yet remain firmly on the head. It is made of 83 percent Nylon and 17 percent Spandex.